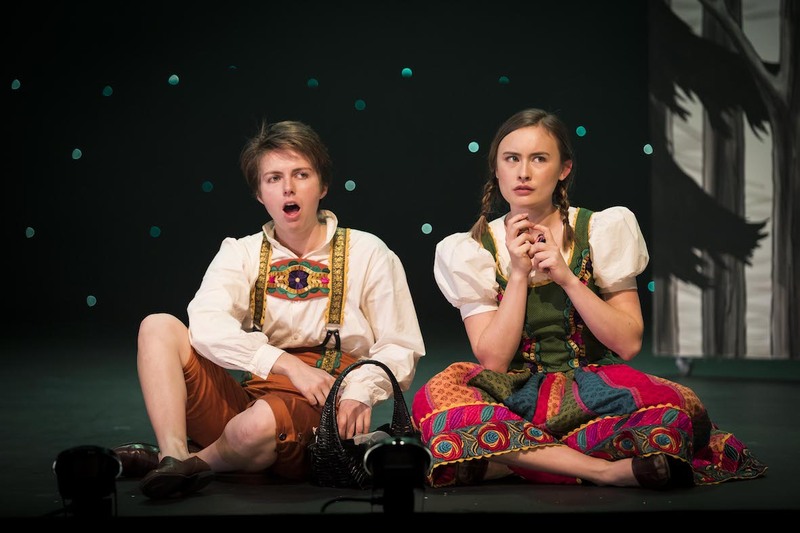 Expertly edited to a brisk 50 minutes, the three acts of Hansel and Gretelfly by, like a children’s picture book that has come to life on stage. Melody after melody from Humperdinck’s music box of a score come in quick, ever hummable succession. 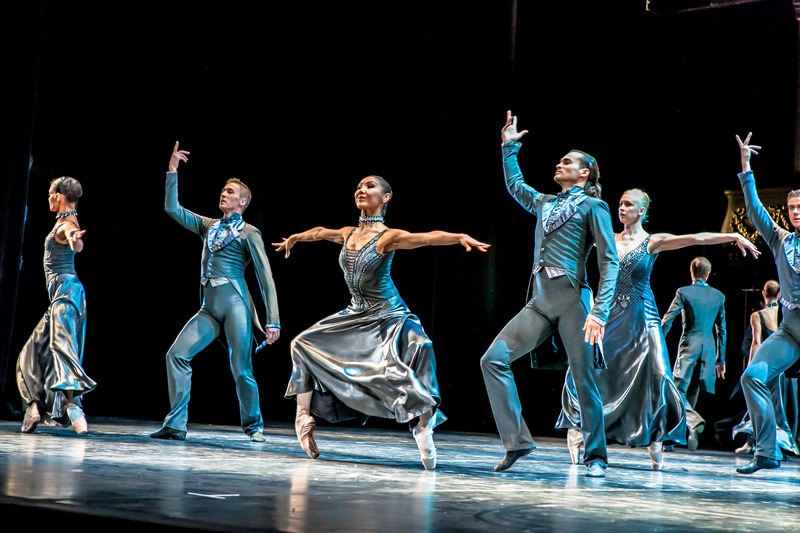 As well as catering perfectly to young attention spans, the production uses simplified scene descriptions rather than literal translations of the libretto. The descriptors are so succinct and easy to follow that it is tempting to imagine them being used in full length opera. With concessions to length and surtitles in place, it is very pleasing to note that the experience otherwise stands alongside full “adult” opera. The performance is sung in German, accompanied by a live orchestra. The story is entirely clear, and there is also plenty of scope for young minds to lose themselves in imagination as to what is occurring. 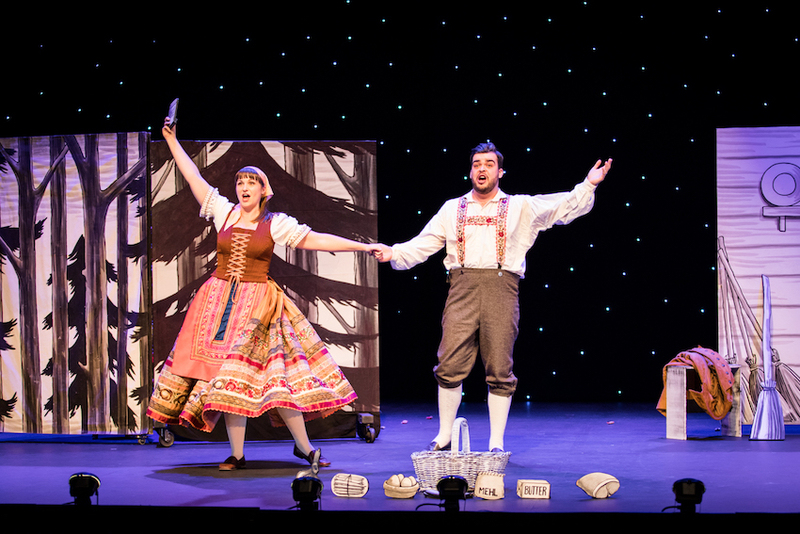 Ross Hall’s design contrasts the initial black and white sets with colourful traditional German costumes. In a witty move, the witch’s costume blends with the walls of her house, leading the children to fall all too easily into inadvertent danger. A twinkling, multi-coloured star cloth completes the attractive stage picture. 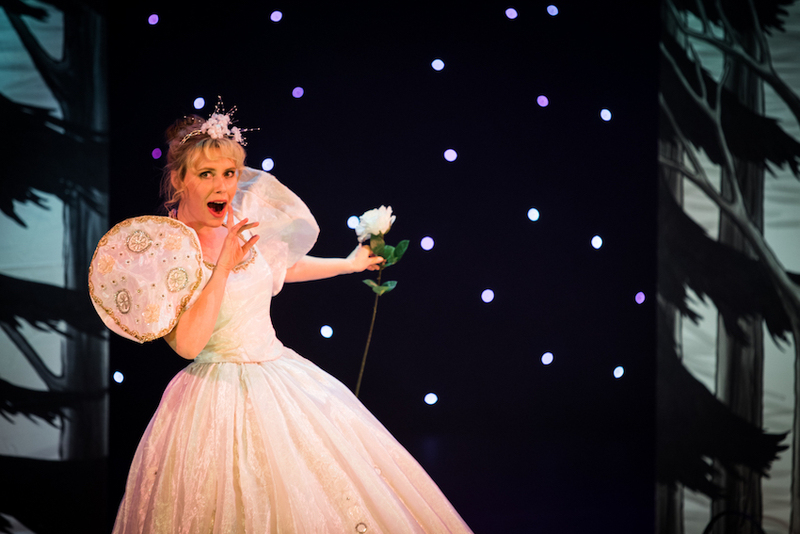 Director Elizabeth Hall offsets witchy wickedness with fairy sweetness, keeping her young, fresh-faced cast in forward engagement with the audience at all times. Entrances from the stalls help to create an immersive performance experience. Young conductor Simon Bruckard has risen through the ranks at Victorian Opera’s music staff as a pianist and repetiteur. Conducting an orchestra of 14 musicians, Bruckard is confidently at ease and generously attentive to musicians and singers alike. The success of the music in an auspicious indicator of further time at the podium to come for Bruckard. 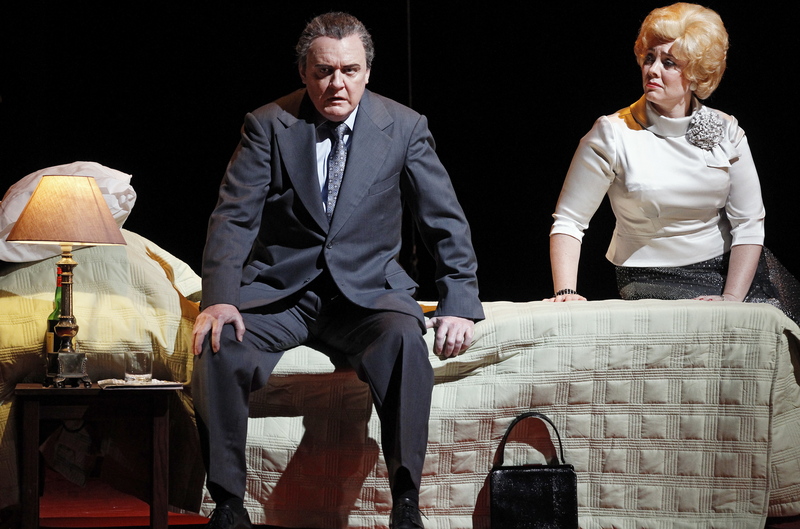 The cast of eight singers handles the German text with polished flair. Vocals are delivered with clarion sweetness, and moments of choreography are handled with ease. Energy is perkily upbeat but very well controlled so as to avoid anything even vaguely approaching pantomime levels. 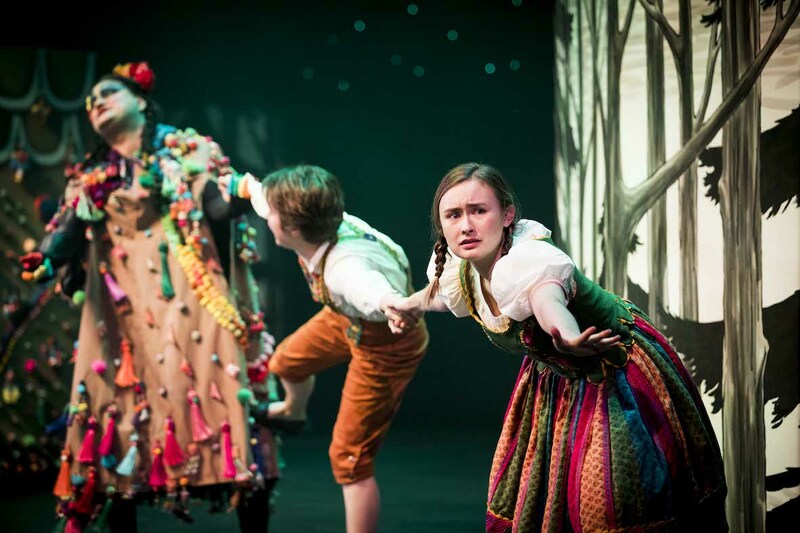 Shakira Dugan and Cleo Lee-McGowan portray Hansel and Gretel with playful camaraderie, engaging the audience with lively expression and harmoniously blended vocals. Kirilie Blythman plays the sorrow of the children’s dear Mother with tender feeling. As Father, Stephen Marsh makes a wonderful entrance, his warm baritone filling the space with warm resonance as he enters from the rear of the auditorium. Under layers of costume and make-up, Tomas Dalton contributes physical and facial expressions of malevolence to the Witch, creating a wonderfully hissable villain whose demise can be cheered. Future children’s season from Victorian Opera are wholeheartedly recommended. 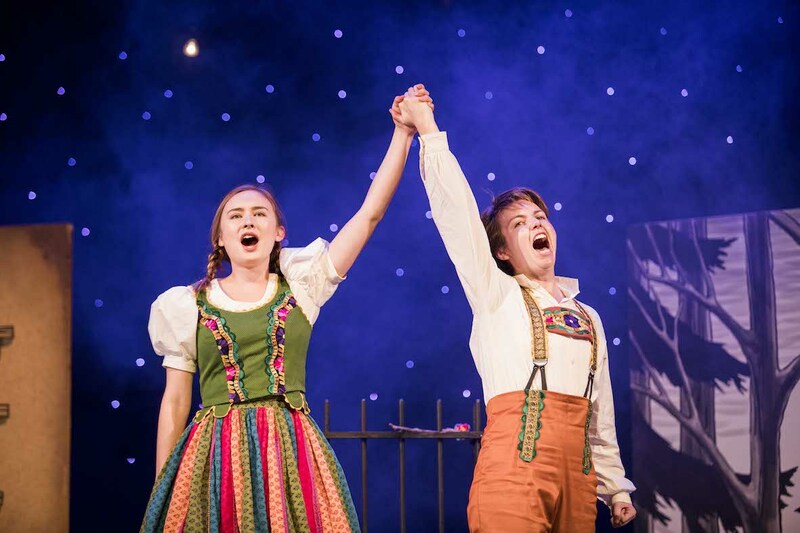 Hansel and Gretel played three performances at Playhouse, Arts Centre Melbourne on Saturday 9 June 2018. It has a relaxed performance 1pm 12 June 2018.